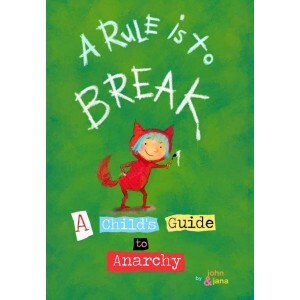 The gently humorous children's book A Rule Is to Break: A Child's Guide to Anarchy, which exhorts kids to "Think for Yourself", "Give Away Stuff for Free" and "Do What You Want", has come under fire from the Tea Party. Originally self-published, A Rule is to Break was released late last month by small San Francisco publisher Manic D Press. Written and illustrated by husband-and-wife team John Seven and Jana Christy, it follows the story of Wild Child "as she learns about just being herself and how that translates into kid autonomy". Advice includes "don't look like everybody else! Be you", and "Paint pictures on your TV! Forget about grocery stores and get dirty in your garden!" A review in Publishers Weekly suggested that "even adult readers taken aback by lines like 'when someone says 'Work! ', you say Why?' and 'No baths ever again!' will be able to get behind suggestions to 'Educate yourself. 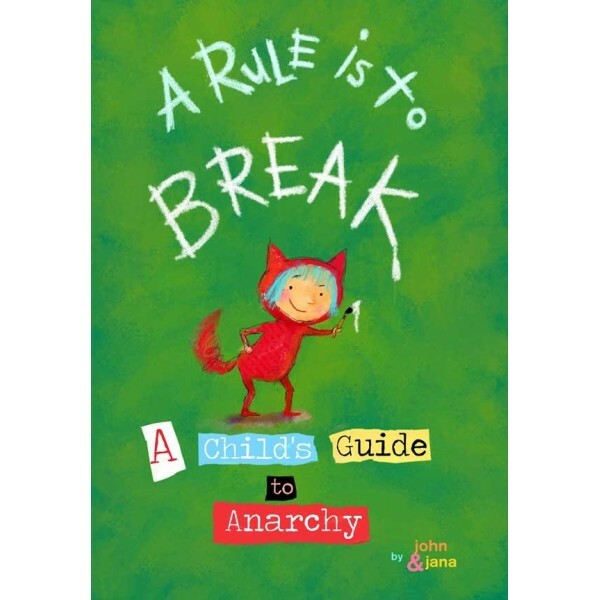 Use your brain' and "Listen to the tiniest voice'", calling the book "the softer side of anarchy, with an emphasis on fun and independence, but also community and kindness". But a write-up from Tea Party publication the Liberty News Networkcondemned the book as "downright shocking". It also took issue with the support the book has received from renowned US educationalist Bill Ayers, who provided a blurb for the title, in which he calls it "a delight to read" and says that "a children's book on anarchy seems somehow just right: an instinctive, intuitive sense of fairness, community, and interdependence sits naturally enough with a desire for participatory democracy, feminism, queer-rights, environmental balance, self-determination, and peace and global justice". Ayers is described, tongue in cheek, beneath his blurb in the book as an "author … teacher, Barack Obama's alleged terrorist pal, and grandpa". "The book alone is horrendous enough. But it gets even worse when we realise Bill Ayers, radical terrorist leftist and friend of Obama, not only endorsed it through his Twitter account, his comments in support of the book are listed on the actual Amazon.com book page," writes Eric Odom, managing director of Liberty News Network. "Wow … If a person can be read by the company he keeps, what does this say about Obama?" The book's publisher isn't bothered by the attack, however: sales are already "pretty good", marketing manager Jennifer Swihart Voegele told Publishers Weekly, and she only expects the Tea Party slating to increase interest. "The Tea Party doesn't like A Rule Is to Break because it's anti-capitalism," publisher Jennifer Joseph told the magazine, adding that she'd also sent copies to rightwing pundit Bill O'Reilly and comedian Stephen Colbert with a "happy holidays" card.